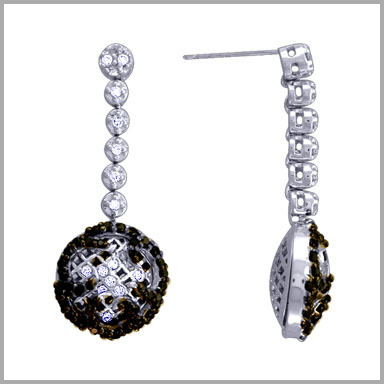 Crafted in polished 14K white gold, these drop design earrings each feature forty round cut black diamonds and 17 white diamonds in prong settings. Diamond weight is 1.1050ct G-H in color ans SI in clarity(approximate). They measure 1-1/2" x 9/16" and have butterfly backs.